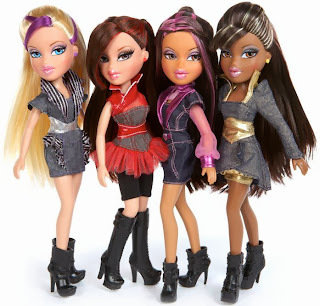 Bratz is a popular American fashion dolls with many characters like Barbie. 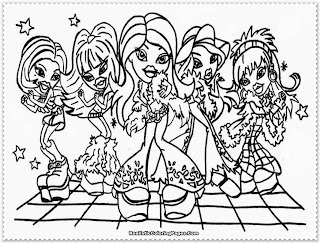 Because of they great successfully, the Bratz characters was also featuring on TV, movies, music, video games and the characters was added not only teen but also Bratz Kidz and Bratz Babyz. There was four most popular Bratz characters, they are Yasmin, Cloe, Jade and Sasha. 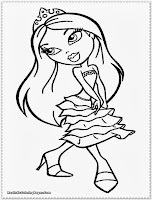 Yasmin nick names is Pretty Princess, she has brown eyes and hair and her skin tone is tan. 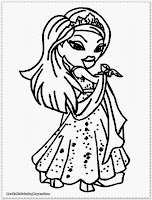 Cloe nickname was Angel, she has blue eyes and blonde hair with light skin tone. 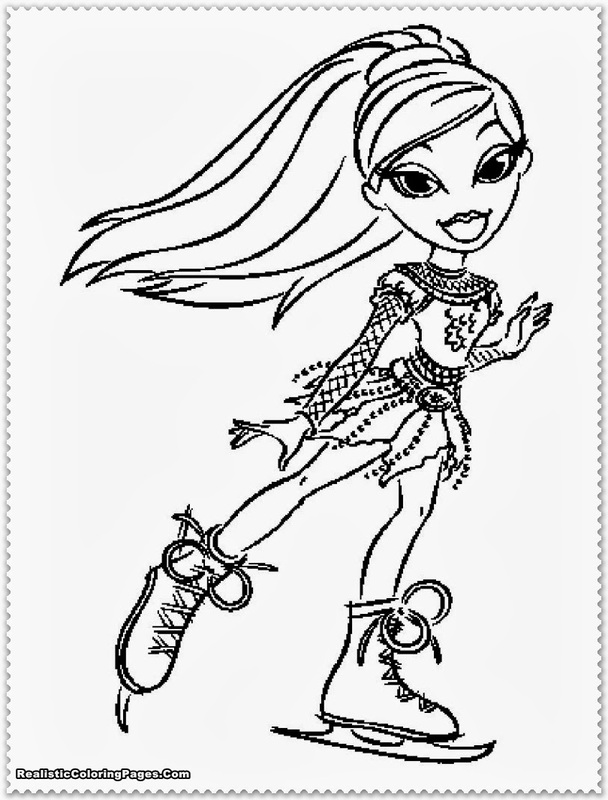 Sasha nickname is Bunny Boo, she have dark brown hair and dark skin tone with pretty green eyes. 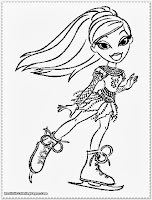 Jade nickname is Kool Kat, she have nice light skin tone with black hair and her eyes are green. 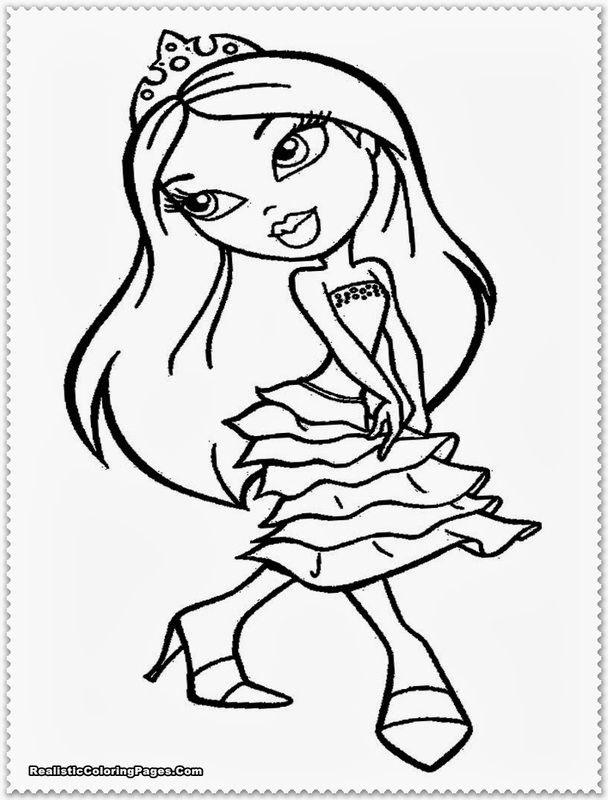 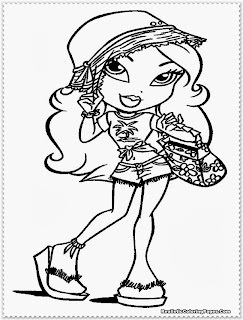 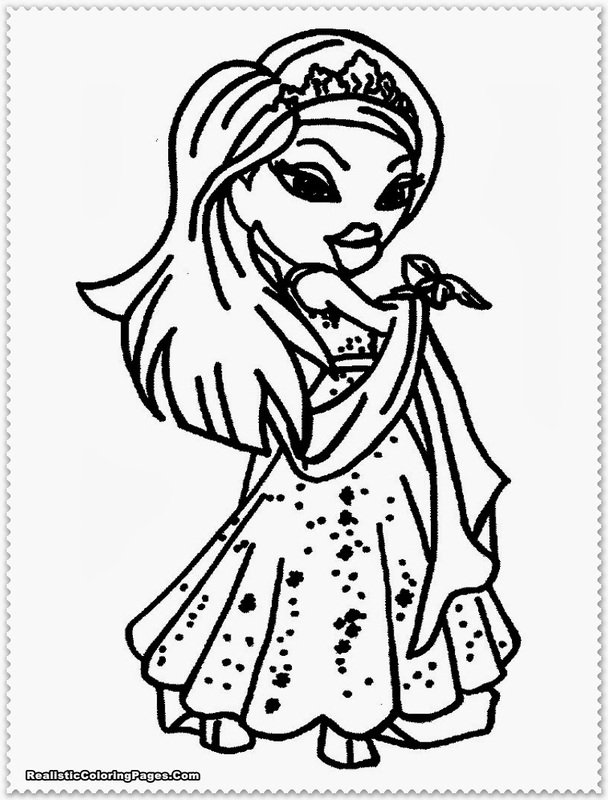 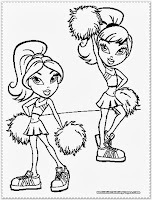 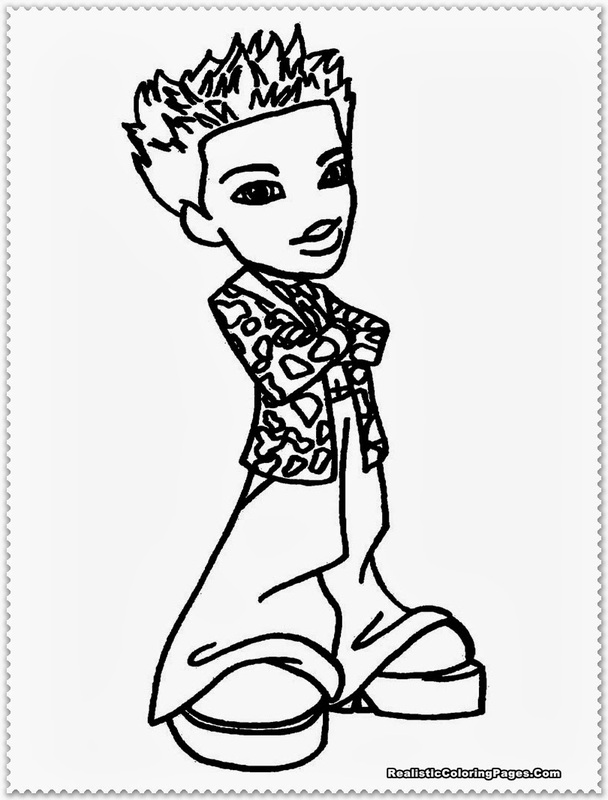 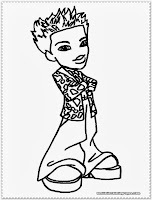 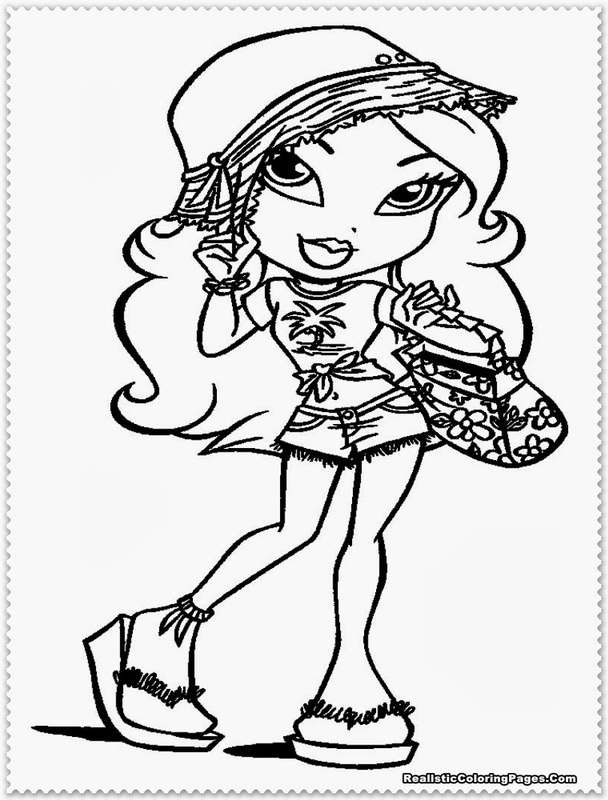 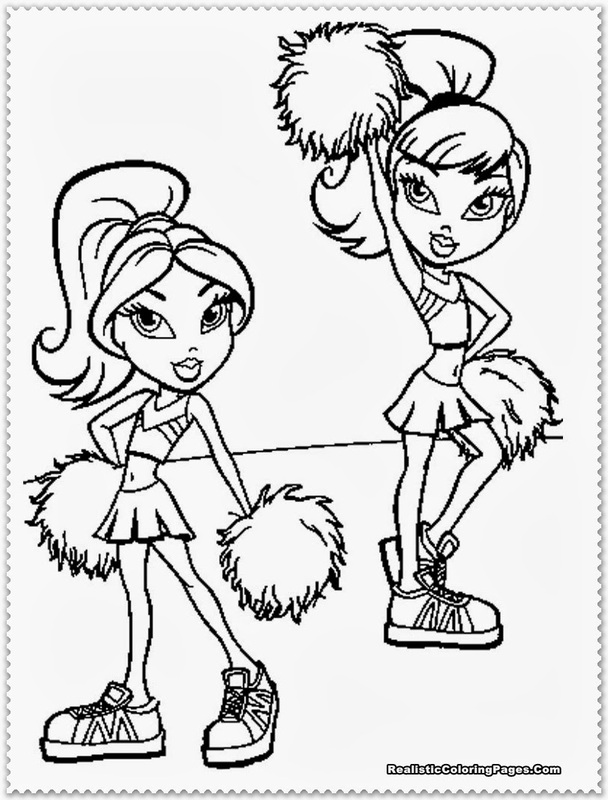 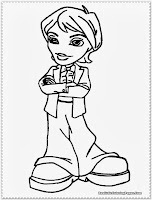 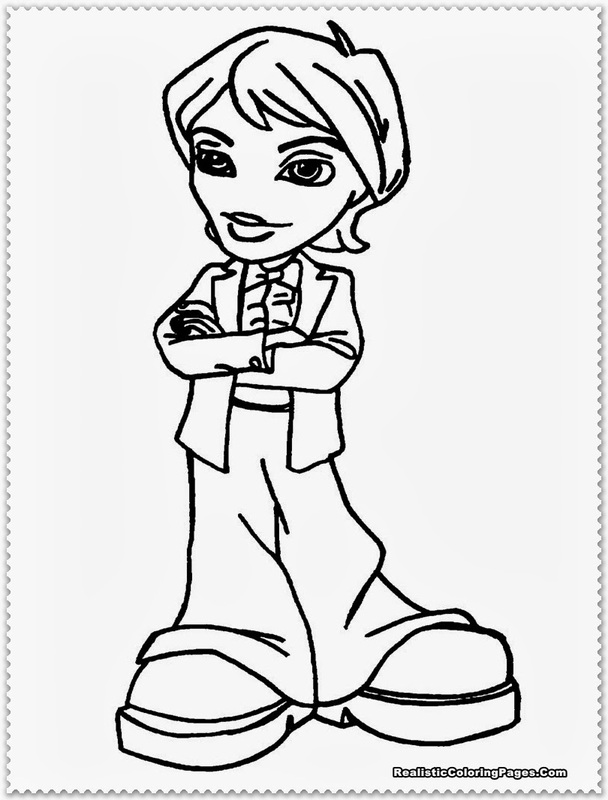 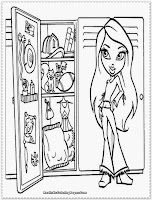 Below is printable Bratz coloring pages, download all the Bratz characters listed here for free for your daughters. 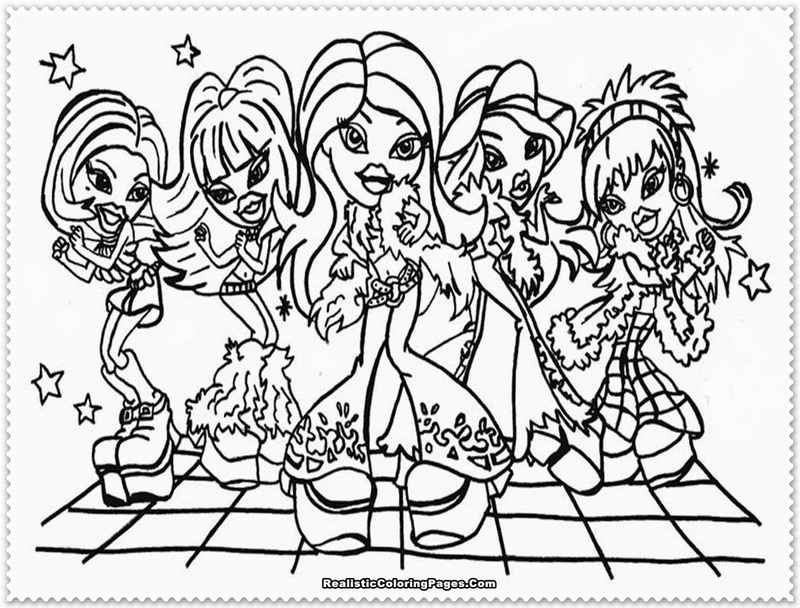 This is not just printable coloring pages for girls only but also for boys are also Bratz boyz.